What is a chemical? And what is a chemical imbalance? A chemical is a substance used in or produced by a chemical process. Life processes require chemicals. Pharmaceutical drugs are chemicals – yet so are foods. poisonous fertilizers, and in season. Our bodies are also chemical factories. They take food, water, sunshine and other substances and work hard to make healthy bodies and minds. To make healthy bodies and minds, they need to have the right ingredients – ingredients that nature generously and wisely provides. But what happens when the foods we eat have been highly processed and/or genetically altered? What happens when we eat foods in combinations that are not well balanced? What happens when we eat foods that were grown far away, picked when they were not yet ripe, foods that were preserved with poisons and radiation? How far from natural can we go before we get sick? Can we learn to feed ourselves in ways that will eliminate the need for illness, dis-ease and pharmaceutical drugs? Yes! Once we know the key, we can choose our mode and our moods by consciously choosing foods that support the quality of life we desire. We can use foods to help us wake up in the morning. We can use foods to help us sleep soundly at night. We can use foods to help us become more mentally sharp, more emotionally aware, more socially assertive, and more able to perform physical tasks. When it comes to real healing, it’s pretty much a do-it-yourself job. You learn to ask yourself those important questions. You learn to wisely choose what you feed yourself and your family. Here are a few understandings to help you begin to manage your health and happiness. Foods that grow in trees support mental activity. They help us wake up and get going in the morning. They are sweet, wet, cool and wash the waste out of our bodies. Eating fruits from trees first thing in the morning is like taking a shower on the inside. They make you feel clean and fresh and ready to greet the day. Air foods are “uppers”. Too little of the air foods and you are mentally dull, bored and boring. Too much makes you feel weak, giddy, silly, goofy, “fruity,” “nutty,” “spacey,” forgetful. Foods that grow on vines and stalks, foods you can reach straight out and pick, standing up, are foods that support social exchange. They are good for sales meetings, parties. Notice that most fire foods can be made into alcoholic beverages. Examples are: barley, wheat, grapes. Most of the world’s population makes rice the mainstay of their daily diet and they stay quite healthy. Fire foods infuse you with enthusiasm. Too little of the fire foods and you may feel shy and retiring. Too many and you are overly aggressive. Emotions need to flow, like water. To have a relaxing day, you might go out on a lake and float on a raft or go to the ocean and watch the waves come in and go out. If you want to feel calm and peaceful, plan to eat water foods daily. If you are going to be working with a therapist in a healing session, you might want to eat lots of water food – like watermelon – the day before. Water foods are foods that grow in the water and close to the ground, such as winter squash, melons, strawberries, pineapple, sea veggies, and dark green leafy vegetables. Most animals make greens a large part of their diets. 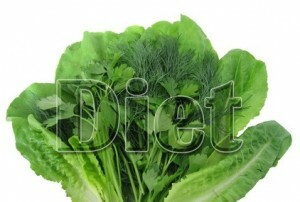 To be healthy in body and mind, humans would do well to eat lots of greens too. “But where do we get our protein?” I hear you ask. “Where do cows get their protein?” I respond. Chlorophyll is the key to radiant health. The chemical structure of a molecule of chlorophyll is nearly identical to the chemical structure of a molecule of hemoglobin. In hemoglobin, the central atom is iron; in chlorophyll, the central atom is magnesium. Water foods soothe; they help you sleep well. A nice large salad at dinner time will make you sleep like a baby. Too many water foods and you may feel overwhelmed on the feeling level. When you need to do something physical and practical like wash the car, vacuum the floor, or just move your body from one place to another, try a dose of earth food, a nice big glass of carrot juice or a hit of ginger in your smoothie, garlic in your salad. Root vegetables bring you back to a grounded, practical place. A baked potato in the evening will help you sleep. Too few earth foods and you just plain don’t get things done. Too many earth foods and you feel like the proverbial couch potato. Examples of earth foods are – naturally – potatoes, carrots, beets, garlic, ginger, onions, peanuts. This is how upside down our food and drug industries have become… If someone is diagnosed with bi-polar disorder, they are also prescribed lithium, a naturally occurring mineral found in seawater. Plain, simple, dehydrated sea salt contains lithium. Bi-polar disorder is actually a lithium deficiency, similar to scurvy being a Vitamin C deficiency and pellagra being a B Vitamin deficiency. If we had been raised with naturally dried sea salt on our tables, rather than white sparkly free-flowing table salt, we would all have plenty of lithium in our bodies and no one would need lithium supplements in pharmaceutical drugs. It is unknown how many other diseases might also be simple mineral deficiencies caused by the depleted, processed salt that pours easily from most salt shakers. The salt Americans typically use — sodium chloride with a little iodine added — is a byproduct of the mining industry, not a complete food. Where do the minerals go that were mined out of our salt? Ironically, they are sold to pharmaceutical companies which then make drugs with dangerous side effects. Be safe — use only unrefined, naturally dried, sea salt. It’s moist, sticky, and a bit yellow or grey; not dry and sparkling white. You can get it in bulk at most health food stores. It costs more and it is worth it. Baths with unrefined sea salt allow your body to absorb salt at its own comfortable pace. You can put a few trace mineral drops in your drinking water for a smooth, refreshing drink, blessed with nature’s electrolytes. Eat as much of your food as possible raw, organic, locally grown and in season. Avoid white flour, white sugar, white salt. Packaged foods, manufactured in American factories can be hazardous to your health. Aspartame – food or foe? Just because something fits in your mouth and can be swallowed, does not make it “food”. Food is something nature grows, that supports health and life. Aspartame is a “food additive”, made by scientists in laboratories. “Food additives” do not support health and life and aspartame is not a food. There are alternatives to artificial sweeteners. Do an internet search for “stevia”. You can grow a stevia plant in your garden or house and use leaves in your tea or smoothies. Stevia is also sold in powdered form and in flavored drops. There are many healthy sweeteners. Sugar or honey are superior to artificial sweeteners. Fructose — especially “high fructose corn syrup” apparently also has problems. Research. Sweet Misery: A Poisoned World is an excellent movie. Also, here is some information from Dr. Mercola on the very real dangers of aspartame. When your health is involved, do not be shy to ask questions… your health, happiness, and maybe even your life, depend on your discernment. If a profit motive is part of the equation, ask even more questions. Always find the healthiest alternative to anything that threatens your health.